Her hands were tied with telephone cables, she wore no shoes, just woolen socks. themselves when they avenged her death. noose interrupted her last words. 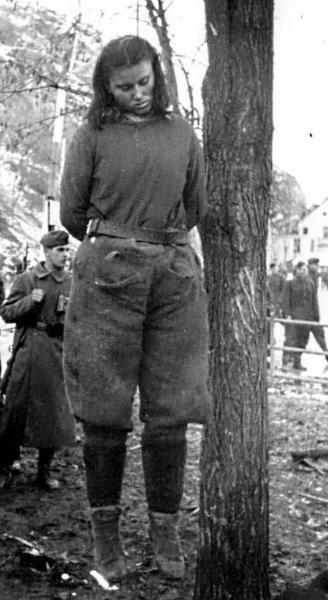 "Banditkinja, hanging in Bosanska Krupa, has shown unprecedented defiance". Lepa was then just 17 years old! Lepa was born on December 19, 1925 in Bosanska Gradiska, Bosnia-Herzegovina. partisan movement. 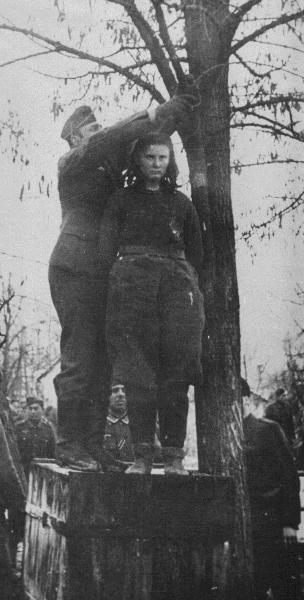 But eventually on the eve of February 8, 1943 her she fell in the hands of the Germans.